Latest > News > Ervin & Smith honored for Vis Major branding work. 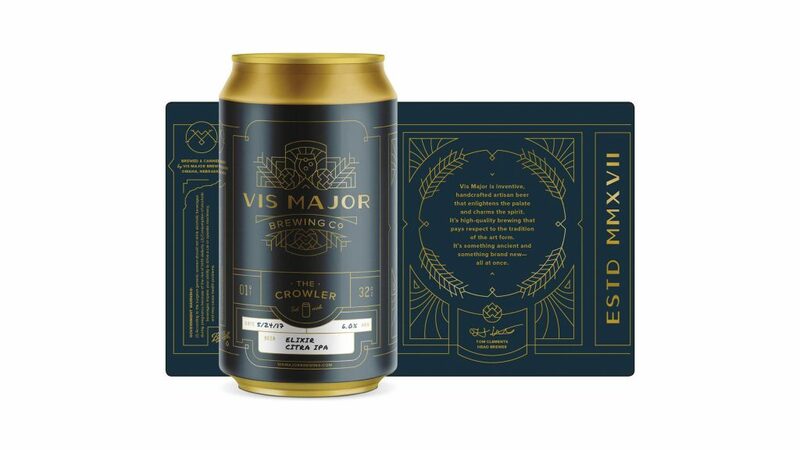 Ervin and Smith was recently recognized for the branding work we did for Vis Major Brewing in two industry awards competitions. Ervin and Smith’s work for Vis Major was selected to the shortlist of design finalists for the Communication Arts 2018 Design Competition. The entry was one of 379 finalist selections out of 3,894 total entries submitted across a variety of design categories. Since 1959, Communication Arts has published the best In visual communications from around the world. Winners are selected by a nationally representative panel of distinguished visual communicators. Ervin and Smith’s work for Vis Major was also selected as a Silver Award Winner in the Graphis Branding 7 Competition. Graphis, Inc. is a publisher of the world’s most significant and influential works from the greatest talent in Design, Advertising and Photography since 1944. Ervin & Smith named a Top 10 Best Places to Work by Advertising Age.